Google's Android mobile operating system and Apple's iOS dominate the U.S. smartphone space, holding about 82 percent of the market, according to the latest numbers from market research firm NPD Group. According to the NPD report released Dec. 13, Android exceeds more than half of the market, at 53 percent, followed by iOS, which holds 29 percent. The firm said that Research In Motion and other companies that had been on top of NPDs smartphone rankings have made critical business decisions this past year in hopes of shoring up their U.S. smartphone businesses in the face of declining sales. 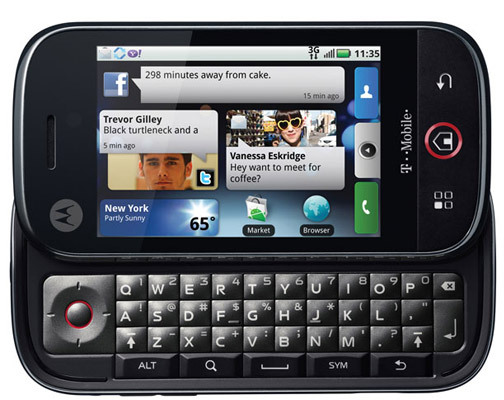 Motorolas share of smartphone sales had reached more than a third of the smartphone market (36 percent) in the fourth quarter of 2006. 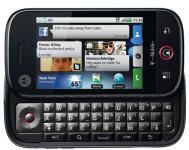 However, the companys smartphone market share dropped to as low as 1 percent by the third quarter in 2009. After adopting Android, Motorolas share of smartphone sales rose to 16 percent of the market the fourth quarter last year, before settling back down to 12 percent by the third quarter of this year. Android has helped Motorola climb back into the smartphone market; now, though, Google will seek to use Motorolas patent pool to help protect other Android licensees, Ross Rubin, executive director of connected intelligence for NPD Group, said in a statement. According to research from NPD, in the second quarter of 2006, RIM and its BlackBerry portfolio comprised half of all smartphone sales. However, by the third quarter of this year, the company had fallen to 8 percent. As it prepares to introduce smartphones on its next-generation platform, RIM has already made some important incremental improvements this year with the release of the BlackBerry 7 operating system. RIM is now is ranked fifth among smartphone OEMs, behind Apple, HTC, Samsung and Motorola. Rubin said few companies have felt the impact of the shift to touch user interfaces and larger screen sizes as negatively as RIM, but the company is beginning anew with a strong technical foundation and many paths to the platform. The report noted one of the biggest news stories of the year was Nokias agreement with Microsoft to use the Windows Phone operating system on its smartphones. Nokia and Microsoft must build from almost nothing to carve out success between the consistency of the iPhone and the flexibility of Android, according to Rubin. Even though Microsofts former smartphone operating system, Windows Mobile, peaked at 50 percent of smartphone sales in the second quarter of 2007, Windows Phone 7 by comparison has not achieved more than 2 percent of smartphone sales since launching in the fourth quarter of last year. The competitive landscape for smartphones, which has been reshaped by Apple and Google, has ultimately forced every major handset provider through a major transition, Rubin said. For many of them, 2012 will be a critical year in assessing how effective their responses have been. The better way to make a call from Peru other country is calling card Continental. If you now live in India and often call overseas you need pay attention to Partner phone card. The best way to make a call from Japan other country is phone card Continental.